This article examines the Middle Way in Buddhism from a historic perspective and why the Buddha preferred it to other conventional methods"
The Middle Way, or the Middle Path is well known in Buddhism. It is called Madhyama pada in Sanskrit and Majjhima pada in Pali. The Buddha coined this word to suggest a way of life that embodied His teaching and emphasized the virtues he believed would lead his followers to Nirvana or the cessation of being and becoming. He defined the Middle Way in his first sermon at Saranath, which a few days after his enlightenment he delivered to the five ascetics (bhkshus) who deserted him previously believing that he faltered on the path and forsook his austerities. Now, what is the Middle Way and why this name has come into existence? 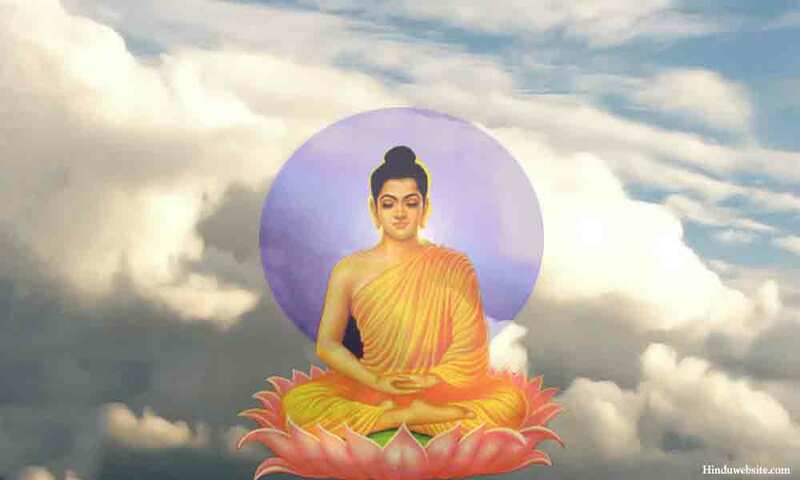 The Buddha used the name to distinguish his teaching from two other prominent traditions of his time which were popular in India and with which people were familiar. He defined it in his first sermon in following manner. "Bhikkhus, these two extremes ought not to be cultivated by one gone forth from the house-life. What are the two? There is devotion to indulgence of pleasure in the objects of sensual desire, which is inferior, low, vulgar, ignoble, and leads to no good; and there is devotion to self-torment, which is painful, ignoble and leads to no good." Buddha suggested this name for a historical reason. By suggesting the Middle Way he tried to resolve a serious spiritual issue of his time, which demanded attention. Prior to the Buddha, two traditions dominated the religious scene of ancient India. They were: Vedic dharma, the precursor of present day tradition known as Sanatana Dharma or Hinduism, and Jain Dharma or Jainism. In Vedic dharma the emphasis was on enjoyment of life. The priests propitiated gods to obtain boons for peace and prosperity. They prayed to them and performed sacrifices to fulfill their desires. They performed sacrifices for the sake of people who looked to the gods for favors and charged fees for the services they rendered and the spells they cast. This was the popular and well known side of Vedic religion in Buddha's time, which declined greatly from its earlier heights and became a religion of superficial rituals. The Buddha's parents practiced it and the Buddha himself was very familiar with it prior to his renunciation. There was an ascetic side of Vedic religion, which was practiced by seers and sages in deep forests and remote mountains. But it was not well known to the people, because the knowledge of the Upanishads upon which it was based was deemed a Secret teaching by the teachers and they taught it only to a select few. Even those who knew it were not supposed to reveal to anyone. Thus for the Buddha, the popular Vedic religion represented one end of the religious spectrum as a tradition that aimed to enhance human happiness through sacrifices, spells and popular methods of worship seeking the fulfillment of desires. At the other end of the spectrum was Jain Dharma. It was an austere religion in which the emphasis was on renunciation, self-denial, total self-control, suppression of all forms of desires, detachment, self-torture and even self-mortification. The Vedic religion considered the body divine. It was viewed as a vehicle of divine sacrifice, which housed God in the form of immortal, individual Self, and represented a microcosmic aspect of the body of the Cosmic Person (Purusha) Himself. It upheld the bodily organs as the subtle forms of the gods of heaven who needed nourishment or offerings in the form of food, breath and sensory enjoyment. Jain dharma held the body the biggest obstacle to liberation, a formation of impurities, which need to be disintegrated and destroyed eventually through self-mortification in order to get rid of the karmic substance that accumulated in the body because of the actions performed by the individual. Since it was impossible to avoid karma while the body was alive, the only solution was to waste away the body gradually through austerities and self-purification until the Self was liberated and allowed to reach the highest realm of the universe. Thus we had two traditions, which were poles apart. One represented enjoyment of human life in the service of gods and God Himself as an offering and the other advocated complete renunciation of pleasure, desire-ridden actions and enjoyment of worldly pleasures to stop the accumulation of karma in the body. The Buddha followed the Vedic dharma in his early days. He led a very luxurious life as a prince and a householder until he realized that the enjoyment was a mere distraction from the deeper sorrows of life from which none could escape. Therefore, he left behind everything and went out in search of a lasting solution to human suffering. After renunciation and spending some time under various masters, he resorted to the austere methods of Jainism and tortured and starved himself to near death, before realizing that suffering was not a solution to suffering and self-torture was not going to help him in achieving enlightenment. Therefore he renounced extreme methods of self-mortification and resorted to the Middle Way of moderation, which eventually led to his enlightenment under the Bodhi Tree. For him the Middle Way was a logical, reasonable and realistic solution for human beings, whether they lived as householders or monks, based upon the very nature of the human body which was made to thrive on moderation rather than extreme pleasure or pain. He explained the advantages of the Middle Way in these words in his First Sermon. "The middle way discovered by a Perfect One avoids both these extremes; it gives vision, it gives knowledge, and it leads to peace, to direct acquaintance, to discovery, to nibbana." Thus, the Middle Way of the Buddha Dharma was actually a compromise between Sanatana Dharma and Jain Dharma, between a tradition that promoted fulfillment of human desires and a tradition that believed in their complete suppression. He asked his followers to avoid the extremes represented in these two traditions and follow the Middle Way in which the emphasis should be on living a life of restraint with an eye to the eight virtuous practices, which are known as the Eightfold Path, consisting of the right view, right intentions, right speech, right action, right livelihood, right effort, right mindfulness, and right concentration.